Taylor Richardson, a 14-year-old aspiring astronaut from Jacksonville, Fla., exceeded her goal of raising money to send 1,000 girls to see the upcoming film A Wrinkle In Time. Her GoFundMe page for the goal has raised $17,715 of her $15,000 goal. 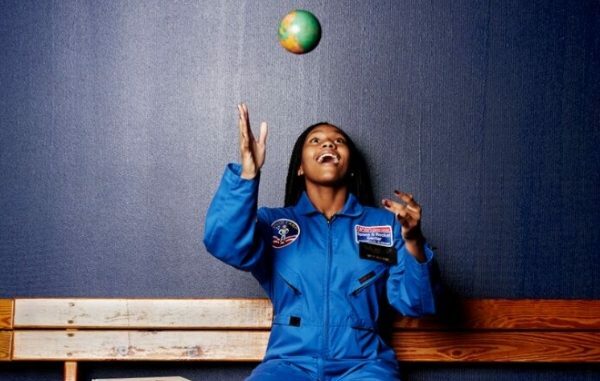 “This campaign is so very important to me because it will give me the opportunity to change not only girls perception of STEM[science, technology, engineering, mathematics] and space exploration but boys as well,” explains Richardson in her original post about her goal. Richardson was recently named a member of Teen Vogue’s Class of 2017 21 under 21 for girls who are changing the world. The self-proclaimed “STEMinist” recently attended the publication’s first ever Teen Vogue Summit in Los Angeles, and also spoke on the panel of TEDxFSCJ [Florida State College at Jacksonville]Salon: Rediscovering Space. Last year, Richardson raised money to have 1,000 girls see the science film, Hidden Figures. A Wrinkle in Time is based on the 1962 science fiction novel byMadeleine L’Engle.